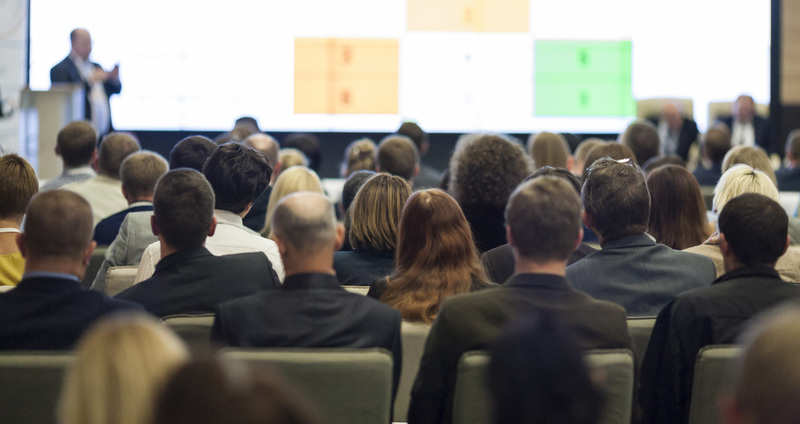 While all conferences require a lot of work to plan, medical conferences can be unique events to plan. 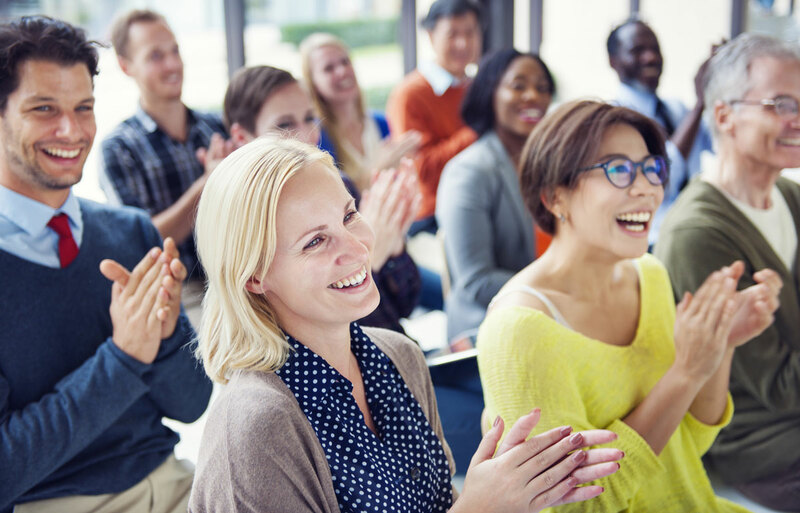 You want your attendees to feel that the event was well-worth attending and ensure they receive the continuing medical education credit they deserve. Luckily, SweetPea Meetings & Events excels in planning medical conferences. We have deep experience working with medical and dental conferences, ensuring successful events for our clients! Medical conferences often involve general sessions and breakouts that attendees move back and forth between. How the attendees determine which sessions they will be in can vary, though. Sometimes, attendees must choose a track – a set “pathway” for their conference that indicates which breakout sessions they will attend. Another method for determining who goes where is by having attendees sign up for their desired breakouts when they register for the conference initially. This way they are not forced to choose a track that sets their conference in stone, but can instead customize their schedule by essentially choosing their sessions a la carte. Medical conferences often involve continuing medical education (CME) credits attendees can earn from sitting in on certain speakers and sessions. CME credits are needed to meet yearly requirements and maintain knowledge and certifications, so they can be very important for attendees and the participation in the conference. Offering CE credit to attendees can be a big draw, especially if you can combine an awesome location with CE credits. Your attendees feel like they can have a vacation like escape, while also fulfilling requirements for yearly training. One difficulty of CME on the planner / organization side, is keeping track and managing the credits each attendee should earn. One suggestion for tracking credits is to use scanners that allow attendees to scan in as they arrive at various sessions. However, if you miss an attendee and don’t scan them in, they will not get their credit for attending that session. Another method is to have a registration type table at all entrances to sessions and require that attendees sign in as they arrive. Again, there are flaws: missing an attendee or holding up entrance to the session as the line to sign in backs up. A better option may be to send out a CE survey following the event on which attendees can indicate the sessions they attended and those surveys can be sent to the appropriate CE governing bodies. Recently SweetPea has started recommending continuing education company, CE Zoom to our clients. The CE management, combined with their customizable registration platform can make it a no brainer for companies offering CE to their attendees. While there are many methods to collecting information to give attendees their earned credits, it is always helpful to have a team that is knowledgeable in continuing education to help you capture every attendee! Speakers and presenters can make or break a medical conference. Whether or not attendees receive speakers as boring or exciting will make a difference in how they remember their conference experience as a whole. For this reason, it is important to invite speakers that will be both entertaining and educational. Although every education session does not involve the most enticing material, it is great to invite speakers that you know can add some pizzazz to their session. Presenters are typically decided upon during the beginning stages of the conference planning and are one of your most important decisions as they are the “bread and butter” of your event. Planning medical conferences that incorporate CE credit can be stressful and frustrating. Thankfully, The SweetPea Meetings and Events team has deep experience in planning, coordinating, and executing multiple medical conferences each year. So if you need some help handling any aspect whether it is session scheduling, continuing education, or speaker management, SweetPea is here to help! In the US, there are hundreds, if not thousands of event planning companies specializing in every type of event imaginable. While each of them might offer a specialty or an area of expertise, there are a few top event planning companies that stand above the rest. Here are a few offering different specialties. Of course SweetPea sits on this list! Based in Scottsdale, Arizona, SweetPea Meetings & Events specializes in corporate & small business meetings and conferences. SweetPea offers FREE site selection and contracting services, allowing clients to lean on the team for expertise and relationships ensuring cost effective venue selection & contracting. Beyond the SweetPea site selection services, we offer a suite of services to cover all or some of the details including agenda planning, transportation, hotel management, speaker management, and full on-site event staffing. We also have a wealth of knowledge and experience in meetings and conferences from 10 to 1000 attendees. A Kurant Event is a Seattle, Washington based event planning company that offers wedding, corporate, and private function planning. They plan event such as soirees and product launches, and have worked with companies such as Facebook, Xbox and Windows Mobile. And on a smaller scale, they have helped families celebrate reunions, couples celebrate anniversaries, and groups of friends celebrate a holiday. A Kurant Event also offers full scale, day of only, or a-la-carte wedding services. Signature Events is a team of event planners lead by CEO Charlee Geisler located in Scottsdale, Arizona. They coordinate weddings across the valley and are the preferred wedding coordination team at multiple four and five star resorts across Phoenix, Scottsdale and Paradise Valley. Signature Events offer both full wedding service and day-of service. Known for their elite weddings, the company has won the Best of Weddings Award by The Knot for five years including 2017. Luxe Event Productions is an event planning company based out of Portland, Oregon that specializes in weddings, public events and commercial styling for magazines, photo shoots, retail windows and restaurants. They love to coordinate public events including concerts, trade shows, festivals, auctions, golf tournaments and culinary competitions. Their event planning process encompasses brand strategy coupled with event design, event execution and post-event ROI measurement. Ron Wendt Design is a full service event design, planning, and production firm based in NY. They are a top event planner for Fortune 500 Corporations, like JP Morgan, or Tiffany & CO and focus on luxury events for often discreet clients. Focusing on experience and design, they blend exquisite floral displays along with contemporary cutting-edge style to ensure unforgettable experiences. No matter what type of event you are planning, there is an event company that can cater to your needs. So if you need a wedding planner, public event planner, party planner, or corporate planner, look no further! We think these companies are great choices for top event planning companies. The Southwestern United States is full of breathtaking scenery, adventure, and beautiful winter weather. It can be the perfect location to hold a conference for training team members, clients, or an incentive trip. With the right Southwest conference planners, your event in the area will be memorable and exciting! The American Southwest is chock full of adventure from the spectacular Grand Canyon in Northern Arizona to the lights of Las Vegas, Nevada, so the incredible golf courses of Scottsdale. Since it is one of the most geographically diverse regions in the country, you can experience mountains, mesas, flatlands and desert all within one area. Additionally, the Southwest boasts multiple climates, from cold and snowy to hot and sandy. With so many different experiences available all within one region, holding a conference or meeting in the Southwest is a no-brainer! So if you are looking to hold an event in the area, and are looking for Southwest conference planners, you have come to the right place! SweetPea Meetings & Events loves to help organizations find the perfect venue and negotiate the best rates and hotel concessions. And our site selection and contracting is FREE! We can handle everything from A to Z including: food and beverage management, A/V services, agenda, budget, room block, registrations, on-site event staffing and website registration platform. And while SweetPea helps clients plan events all over the United States, we have a special place in our heart for our home state, Arizona. With so many amazing properties in Arizona, choosing the right venue for your conference can be difficult. Luckily, SweetPea has strong relationships with hotels in this area, often resulting in significant savings for our clients! We also have relationships with important vendors that you will need for your conference including A/V and signage companies. 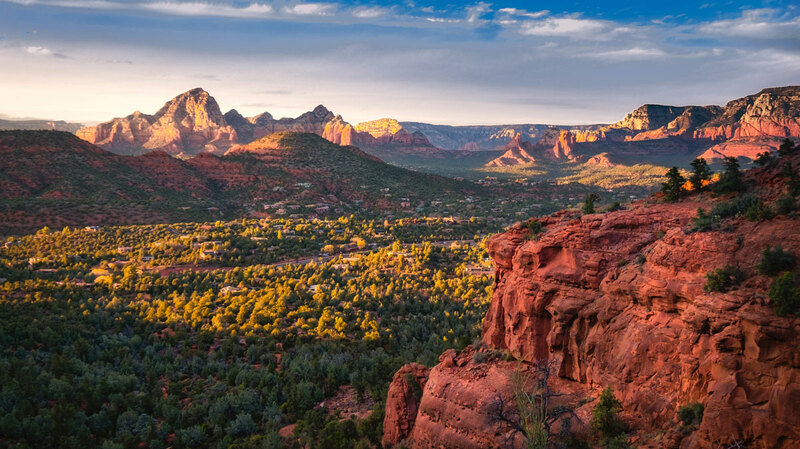 If Arizona isn’t your spot, but you still want that southwestern scenery and adventure, we would love to help you coordinate your event in one of the other southwestern states! Whether it is Utah, Nevada, or New Mexico, our team of event planners can coordinate every detail from our home office… and then meet you there when the time comes! So if you want to add a little Wild West to your next meeting or conference, SweetPea Meetings & Events is here for you! Our team of Southwest conference planners can help you achieve your event goals! Looking for a conference room rental for your next meeting or event? If so, there are a few key things you must know before you begin the search. HOW MANY DO YOU EXPECT? To start, it’s crucially important to determine how many attendees you expect to attend your conference. For many, coming up with an exact number can be difficult to pin down before an event is planned, so a ballpark number should suffice to get you started. As you analyze numbers, consider your attendees, staff, speakers, sponsors, and any others you plan to attend. Once you have a ballpark number of attendees, it’s important to think through the space & layout. Will you need just one large room for general session, or several smaller rooms for breakouts? Or both? 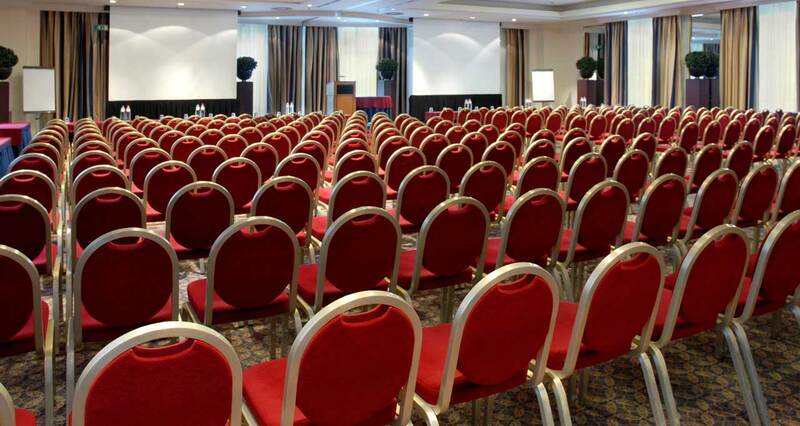 You want to ensure that every attendee will benefit from the size, set-up, and flow of the conference rooms you rent. Thinking through the content presentation, the learning style of attendees, and food and beverage plans, will help narrow down your targeted layout. After dialing in your attendees and layout, the next decision made in the conference room rental process is determining when you need the room(s) and for how long. Develop a basic agenda for your conference and write down your expectations for when the space will be available for each day. Make sure to factor in the set-up and tear down times, meals, and breaks. If your event is more than one day, you may need a 24-hour hold in order to keep your set-up while your event is inactive to prevent having to set-up every day. The amount of time that you need your conference room rental is an important piece of your conference and will be negotiated into the contract. Now that we have the basic requirements out of the way, let’s look at the main question many of you are asking; what do conference room rentals cost? Thankfully there are a couple methods of pricing and depending on your overall needs for the event, the strategy chosen could greatly impact the amount of money you need to spend to rent the space. You can either choose to pay for the conference room rental outright, or if you are providing food and drink to attendees and agreeing to a room block commitment, hotels often waive the room rental fee so long as your group meets the minimum food and beverage and hotel night commitment. If your attendees are staying at the hotel, and you are planning on meals during the conference, then its best to contract for a corresponding block of hotel rooms. The hotel block provides great value to your attendees, as it gives them a fixed room night rate for the hotel and ensures availability, even if the hotel fills up. The room block also can give you greater negotiating power for other items, like AV, resort fees, etc..
After determining what you need in a conference room rental, the SweetPea team can help find a property that meets your needs and requirements. Our site selection and contracting is a FREE service. All you need to do is tell us your desired location, dates, number of attendees, required conference rooms, basic agenda, and food & beverage requirements. After we receive your request, we will send RFP’s to hotels and provide you with a detailed report to compare properties. After SweetPea provides you with a property comparison report, and you narrow down your decision, it might be valuable to see the property in person and do a site visit. This might not be necessary for a small conference, but for a large conference there can be great value in seeing the space in person. You will also be able to get a sense of the level of service by visiting the site. Seeing the property with your own eyes will lead to a confident, informed decision. After you have done a site visit and chosen the best space for your conference, it’s time to start contracting. This step can be a long and tedious process, but SweetPea offers as a FREE Service. We fight for the best negotiated contract for your conference room rental. The process of conference room rentals can be complicated, costly, and stressful if you are not familiar with the ins and outs of the tedious process. The SweetPea team of experts can help you meet your goals for your conference and help you throughout the complexity. Let us help save you time and money on your next conference. As event planners, SweetPea Meetings & Events gets the opportunity to work with many hotels across the country. 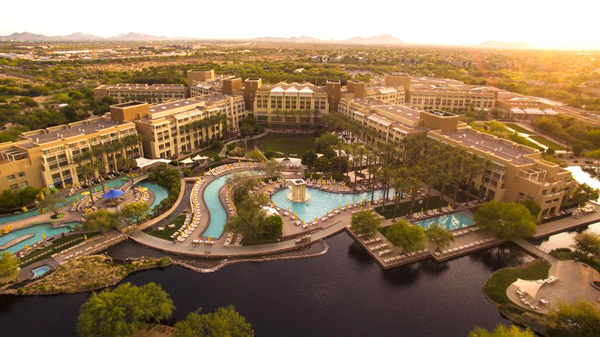 One of our favorites in Arizona is the JW Marriott Desert Ridge Resort & Spa right here, in sunny Phoenix, Arizona! We have worked with the JW Desert Ridge on many occasions, have a great relationship, and are always satisfied with the results. The 869-room hotel is located on over three-hundred acres in the Sonoran Desert and boasts eighty-one suites, seven in-house dining options, two 18-hole golf courses, and a luxury spa with forty-one treatment rooms. Attending a conference for a week, then why not bring the whole family? The resort is a great property for work/vacation conference or meeting. The JW features five pools, a lazy river, and an onsite kid’s center. Desert Ridge is a great place to hold your next meeting or conference as they can easily accommodate groups of virtually any size. The property has 241,106 square feet of meeting space broken up between twenty-nine separate meeting rooms which include the three largest ballrooms in Phoenix. And while all of the amenities are amazing, we really love the JW Marriott Desert Ridge for their exceptional meeting and conference service! The team at the property is top notch and will do everything they can to ensure a successful meeting. The SweetPea team has worked with the JW Marriott Desert Ridge on events from 700 to 20 attendees and the property can cater any event to the clients’ needs. If looking for a smaller event, or room for break outs from a large conference, they have some great spaces including: three Pinnacle Peak Conference rooms, eight Desert Conference Suites, four Hospitality Suites and two boardrooms to fit all of your conference needs. The SweetPea team has helped clients book many events at the JW Marriott Desert Ridge and our strong relationships with the property help us negotiate great contracts. We save our clients’ money and are able to secure additional concessions because of our relationship. Since we know the property so well, we are also able to foresee potential hiccups and negotiate the best contract. A dialed in contract is very important and will help the client immensely for the event. Our goal is your event success, and our strong relationship can help for your next conference. So if you are looking to book a meeting or conference, JW Marriott Desert Ridge is a great venue to consider in the Phoenix area. Take advantage of SweetPea Meetings & Events’ Free Site Selection & Contracting Service, and let the SweetPea team help you plan the best event. Corporate conferences or meetings can often be drab and forgettable. If you want to improve your event and add some design, consider setting a conference theme. A theme that accurately reflects your brand and helps make the event more memorable for attendees can be difficult to pin down. Here are some things to consider when coming up with conference theme ideas. You must consider why you’re hosting your event and what you want everybody to get out of it. Are you trying to gain new customers? Training your existing employees? Promoting a new product or idea? Once you figure out the “why” of your meeting, you can start to dial in the desired experience. The most important aspect of any meeting is the attendees. The demographics of your audience can make a huge difference when deciding on theme. Will the attendees be older adults, or younger millennials? Are families attending with attendees, maybe staying at the hotel for a vacation? Are they employees, clients, customers, or potential prospects? Where are they from? What are their lifestyles? What kind of emotions do you want to evoke from them? When brainstorming a theme, it’s important to decide what style or vibe you want to portray to your attendees. Do you want the event to feel luxurious or low key? Classy or casual? Are you seeking excitement and high energy throughout or are you focused on training and information? Another way to develop a theme is by utilizing your surroundings. Where are you located? What is the local culture where your meeting is being held? Southern California has a very different vibe then New York, so consider tapping into a similar attitude. If your conference is located internationally, using aspects of the areas’ culture and traditions in your theme can be a good way to introduce attendees to a new place. When planning a conference, venue is often determined first, contracting the hotel well in advance of the planning phase. If not yet contracted and you are thinking through a theme consider how the venue will affect the potential theme. It is difficult to portray a luxury, high end theme for an executive retreat, when you are booked at a Super 8, airport hotel. Make sure your venue fits the theme you are considering. If your venue is set, you can enforce your theme through decorations, furniture, lighting, food, and entertainment. Also, utilizing multiple rooms of different sizes throughout your meeting can allow for different settings to drive home various aspects of your theme as well as energize your attendees as they move around throughout the conference. Your meeting or conference theme is an important reflection of your events goals and objectives and SweetPea can help you determine the best strategy for your event. The conference theme can be a reinforcement of everything that you want your attendees to take away from the event and can make the difference between one-time attendees and annual attendees. A successful theme implemented throughout your meeting can turn a once plain event into one that is memorable and effective for every person who walks through the door. 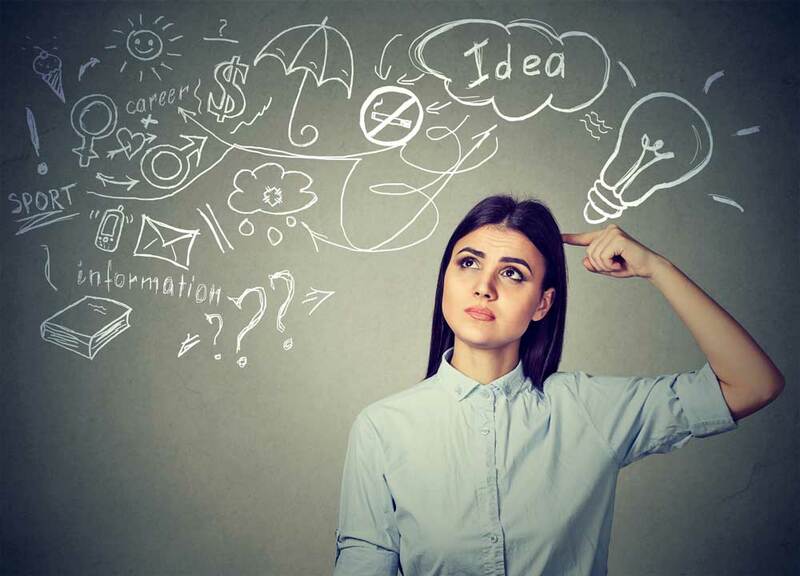 Before you embark on your journey to become an event planner, it’s important to determine the why and the qualities that make a successful planner. Have you helped plan events for friends or family and loved it? Maybe helped with a wedding or something at school? Do you find yourself extremely organized, focused on all the details, and always keeping track of time? Are you comfortable in high stress situations where people are counting on you to make quick decisions? After you look at your strengths, determine the other reasons why you want to be a planner? Do you enjoy challenging environments and incredible multi-tasking? Maybe you are more interested in the perks, like traveling to new locations, meeting great people, and non-traditional 9-5 desk job hours. Or maybe the thought of being the boss of your own ship as an independent planner and growing your own business. While most people don’t have a single reason for their why, it’s an important starting point before you look ahead at the how. Once you determine why you want to become an event planner, it is a good idea to try and pick a path and narrow down the types of events you may be interested in planning. There are countless facets of the industry including corporate conferences, meetings, sporting events, parties, medical education, trade shows, conventions, weddings, incentive travel and so much more. With so many options, making a choice can prove tedious. Consider your strengths along as well as what aspects of the planning industry you enjoy. Would you rather help plan a party for 50 friends, or a corporate conference for 500? A convention for thousands, or a medical meeting? While picking one doesn’t necessarily exclude the other, it’s better to dial in your focus in order to become a subject matter expert in the space. 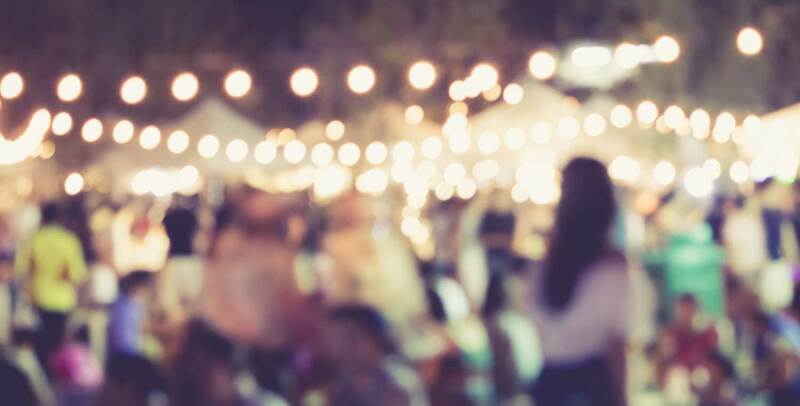 In addition, while each of these various types of events require the same foundational elements that make a good event planner, the process, revenue potential, and timeline can be very different. If you’re not sure what types of events you would like, don’t have any background in event management, and need to strengthen your planning skills, it’s probably more important to have more exposure to the industry first. A great way to gain experience is by volunteering to help plan events. This could be done through a charitable organization, for friends and family, or interning at an event planning company in town. If you are looking instead to develop your foundational event planning skills, like multi-tasking, or organization, you could look for a job where these skills are required. This could mean a job as an office administrator, guest relations liaison or volunteer events coordinator. All of these entry-level type jobs put into practice skills such as organization and time management. Getting yourself comfortable with events and the work that goes into them will help you hone in on your strengths and weaknesses as well as cement your desire to become an event planner. Now that you have determined why you want to be an event planner, what type of events you want to plan, and are comfortable with the successful event planner traits, it’s time for a job. If entry level, it’s probably better to start working for another event planning company to ensure you have the mentorship that can be crucial in learning the industry. Maybe an internship at SweetPea. Or if you are confident in your knowledge and want to manage the business all on your own, you can start your own event planning business. Keep in mind, starting your own business can be difficult and requires an incredible time commitment. In addition, there is great value working alongside others on a team, and running your own business can often be a lonely endeavor. Becoming an event planner requires a lot of work and a lot of dedication. Not everyone has the skills required to coordinate successful events. But for those who do, considering the above steps will lead to a rewarding and satisfying career in event planning. Slack is a collaboration tool that allows messaging between co-workers and through group threads. It is an easy and efficient way to create constant communication between teams and can be used via App, downloaded to desktop, or online. In Slack, planners can create different channels within one thread so that teams can differentiate between communications regarding things such as sponsors, speakers, and registration. Slack also lets team members communicate in private messages to each other as well as “mention” them within the group thread to get each other’s attention to a certain message or file shared. Slack is ideal for teams wanting to move away from traditional email communication and into a more advanced platform. Wunderlist is the ultimate to do list management tool for event planners, allowing users to create task lists with reminders and communicate between team members. It can be accessed via App download, online, or even on your Apple Watch. If you need help keeping track of items you need to get done, Wunderlist is a great solution. Evernote helps planners stay organized. Available on desktop and mobile devices, the tool allows for the seamless delegation and execution of tasks – something that is vital for event planners. The app works as an information filing system in your phone. Planners can organize venue research notes, coordinate travel itineraries, and efficiently share notes with colleagues or team members. Additionally, the app can be synced across many devices, making information and files accessible no matter what device the event planner is utilizing. eventScribe is one of many conference & meeting management platforms available today to help planners manage the tech of hosting an event. Everything from website with registration function, to custom event app for attendees can be managed in the tool. On site attendees can view the agenda, choose sessions and then take notes directly on the app. Planners can create a social media platform for the event, complete live audience polling, and allow attendees to post questions and share notes with other attendees. While it is very convenient for planners to have everything in a single tech platform, these aren’t for the budget conscious. If you need a custom event website, with registration & payment function, SweetPea can develop a site for you for a onetime fee. The other “conference website” platforms allow you to use their tech & platform for free, but then charge an expensive fee per registration, often taking significant revenue away from your meeting. A successful event is only possible with detailed planning, communication, and timeline management, and adding the proper event planning tools to your arsenal will certainly help plan and run a successful event. If you aren’t sure what route to go, please reach out to us. SweetPea often helps client determine what tools would be a great fit for their event needs. An effective way to start your conference off with a bang is by holding a reception on the first night. This could be as simple as a cocktail reception, or as involved as a full dinner reception. A reception provides networking opportunities and a chance for attendees to interact in a casual environment. It will also set a positive tone and break the ice for the rest of the conference. Additionally, many hotels will waive your meeting’s room rental if you reach a food and beverage minimum and a reception is one way help hit those F&B minimums. A reception provides the perfect setting to introduce attendees to each other, and to the conference as a whole. Not every presenter is great at standing in front of an audience and speaking, and not every attendee effectively responds to this method. One way to navigate this issue is by changing the way speakers deliver their message. Panel discussions are a great way to shake up how information is relayed. This type of presentation allows for higher attendee engagement as they are learning from more than one expert as well as asking questions and getting immediate, educated answers from the panel members. You can be sure that throughout your conference, attendees will have questions during speaker’s presentations. By allotting time for a Q&A session, attendees have the opportunity have their questions answered in a setting that is casual and comfortable. One way to make these sessions efficient is by providing a cell phone number that attendees can text their questions to, or a Q&A drop box at a location in the room. This method allows for timid attendees to ask their questions that they may not feel comfortable doing otherwise. Another crucial method to ensure attendees are fully engaged at your conference is by making them feel comfortable and at-home during down time. This can be achieved by delegating common areas that offer lounge furniture, charging stations, and coffee stations among other homey aspects. With these stations, attendees won’t feel the need to return to their hotel room between sessions, but instead stay and engage with others. The conference space should be a place that attendees want to be in and ensuring a comfortable environment will increase attendee satisfaction and networking. One way to up your conference ante is by allowing attendees to interact with each other by comparing opinions through a crowd poll. With today’s technology, facilitating a poll is an easy way to get attendees to engage with presenters and other attendees alike. Consider using an app, like Poll Everywhere to make this process easy. Polling will help attendees feel that they are not only sitting in the audience, but a significant part of the conference experience. The focus of any conference should be on the attendee, their enjoyment and learning, and a satisfied attendee is crucial to developing a profitable and successful conference for years to come. SweetPea loves helping clients plan great events, and incorporating any of the above should increase overall satisfaction, leaving attendees feeling glad that they came and excited to return next year. If you do end up using any of these in your event, we would love to hear how they turned out. Though, we are confident they will be successful! What good is all this planning if no one attends your event? Once the venue is secured, now is the time to start all the specific planning of the schedule as well as to begin to publicize the event. Secure your speakers and presenters, and create your publicity strategy for the coming months. Create an event website with integrated registration & payments, making it easy to find out information about the event, register, and pay for their tickets. You want to offer as many different opportunities for people to hear about your conference as possible, so send out press releases to relevant media outlets or to publications specific to your industry or niche. Seek out websites that might be interested in doing an interview with someone on your team to learn more about the conference. Make sure your speakers have all of the information necessary for them to be able to promote the conference to their audiences as well. Utilize social media, podcasts, blog posts, and email newsletters to get the word out about the event and encourage people to sign up. Set up automatic responses in your email responder so that registrants get immediate confirmation and information when they complete the registration process online. You will also need to coordinate printing materials at this point, and that includes banners, flyers, schedules, folders, name badges, brochures, or branded gifts that you would like to include for attendees of the conference. Depending on your hotel and restaurant decisions, you may want to offer a way for your guests to inform you of any special dietary restrictions or needs or special accommodations that need to be made for them. You will also need to plan for special transportation (shuttles to and from the airport, etc.) that you may need for attendees or your speakers and presenters. About one month before your event, you will need to work with either your event planner or with your hotel/venue to finalize the details of your event. This means you will need to finalize all of your event needs, menu needs, number of hotel rooms reserved, AV equipment needs, number of meals needed, etc. Now is the time when having an event planner can be especially helpful—as you are continuing to handle your publicity and answer attendee questions, your event planner can work directly with the hotel on your behalf to confirm and coordinate all of the nitty-gritty details that must be discussed. This time-consuming process also requires that you know exactly what to ask the hotel for and that you are prepared for every eventual possibility. Having a certified meeting planner like Sweetpea Meetings & Events assist you at this stage of the game can truly transform the process and reduce stress on your team as they know that the conference needs will be exactly accommodated. The last week before a conference is always full and can be a bit stressful. It’s important to double check your needs again and to confirm that everything you need will be completely taken care of. The last thing you want is for your speaker to arrive hoping to give a PowerPoint presentation only to learn that there is no overhead projector in the room that they are speaking in. And you would hate for the five vegetarians on your list to be overlooked and served pork for dinner. These types of things are the minutiea that a meeting planner will review over and over again with your hotel contact person to ensure that every detail is in order. That way you can spend your time compiling your registration packets, getting nametags in the right folders, and making sure that you have your introductions written for each of your speakers. Review your attendee list and highlight those people you want to be sure to connect with during the conference. Review your meeting goals with your team and discuss strategies for achieving those goals during the conference. Review your own presentations if necessary, and continue with your press releases and social media strategy so that you are getting the most publicity possible from this event. Now is the time to shine. Thanks to the detailed planning over the past six months to a year, you can walk into your conference this week knowing that it will be a success. You don’t have to worry about any of the details because you are secure in knowing that they are taken care of—and if any challenges do arise, this is another opportunity for your meeting planner to show their stuff. If SweetPea is your coordinator, we will have regular access to hotel staff to ensure that everything runs smoothly. We can make certain that your agenda is perfectly executed, as well as coordinate transportation and registration, amongst all other day-of necessities. SweetPea can add additional comfort to you and your conference by handling any and all issues that may arise. Now that your conference is complete, you can look back over the week with gratitude for the many things that were learned, the connections made, the positive publicity your company or organization received, and the incredible feedback gained from your colleagues and attendees. Thumbs up for a job well done! As you can see from this list, conferences can be difficult to plan. Planning requires a good amount of lead time to get everything organized. It is very important to have experience working with hotels and to have excellent negotiation skills to be able to secure good contracts with hotels and to achieve everything desired within budget. Your team also must show a high attention to detail in order to ensure that nothing is forgotten throughout the process. 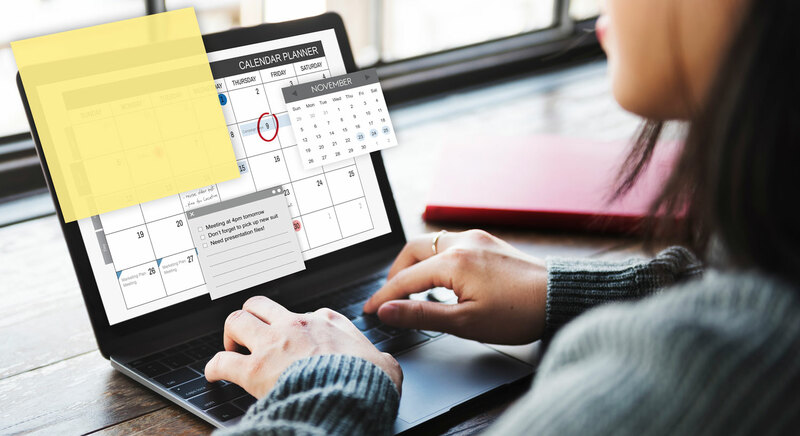 In the midst of all you have to do to plan a conference, connecting with a meeting planner is an excellent way to ensure that nothing falls through the cracks. SweetPea Meetings offers strategy, site selection, negotiation and contracting to help you in this process. Site selection and hotel contracting is even free of cost—you don’t pay us for our time. Other services we offer are: agenda planning, transportation logistics, full on-site event staffing and website design. Having a qualified and experienced meeting planner on your team gives you the support system you need from the get-go to make your conference a success.